Esse quam videri, the Latin translation of to be, rather than to seem, is the Trevecca way. More than just a motto, the phrase encapsulates something Trevecca asks of its students, not just in the classroom or on campus, but in the world and the everyday life of each student. Junior Marina Yousef is an example of someone living out the Trevecca motto. 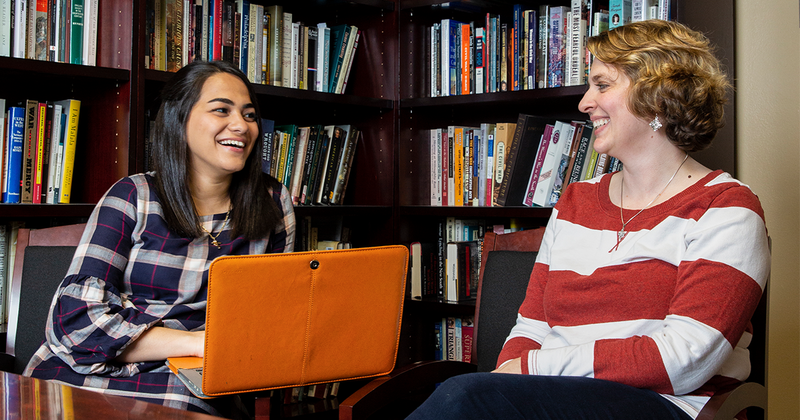 “I feel like she embodies what Trevecca wants all of their students to be—globally-aware, compassionate citizens,” said Dr. Erica Hayden, associate professor of history. Egypt is home to the largest Christian population in the Middle East, with a majority being Coptic Christians—like Yousef and her family. Many face persecution for their religious beliefs and seek asylum in the United States. At the age of seven, Yousef and her family immigrated to Nashville from Egypt in 2005 on a diversity lottery filed by her parents. Yousef’s parents hoped their children would have greater access to freedom of religion, education and ambition. From that day forward, Yousef has called Nashville home. She doesn’t take her parents’ sacrifice of coming to the States for granted. Yousef has kept her word and accepted the challenge of new opportunities and created her own to help improve her community and those around her. “She tirelessly puts others first and looks for ways to be involved in making Trevecca and the surrounding community a better place,” Hayden said. Since coming to Trevecca, Yousef has excelled as a student, a leader and a Christian while rising above what is expected of a student. “Marina tries to serve every person she has come into contact with and is a perfect representation of what we believe in at Trevecca: leadership and service,” said Brodrick Thomas, director of community engagement and reconciliation. An aspiring lawyer, Yousef started Trevecca’s new pre-law society for students interested in law and policy. She secured two local law firms to sponsor the club. During her freshman year, Yousef brought the Orthodox Christian Campus Ministries, a national organization that connects college students with the ancient faith of the Orthodox church, to campus as a way to serve Trevecca’s nearly 70 orthodox Christians. “I recognized my community was thirsting for fellowship and the best way to connect with Orthodox students is through prayer and studying Scripture,” Yousef said. The club is open to anyone interested in having a dialogue about the Orthodox interpretation of Scripture. “What I love most about the club is ... students are coming because they want fellowship and are coming out of the purity of their hearts,” Yousef said. 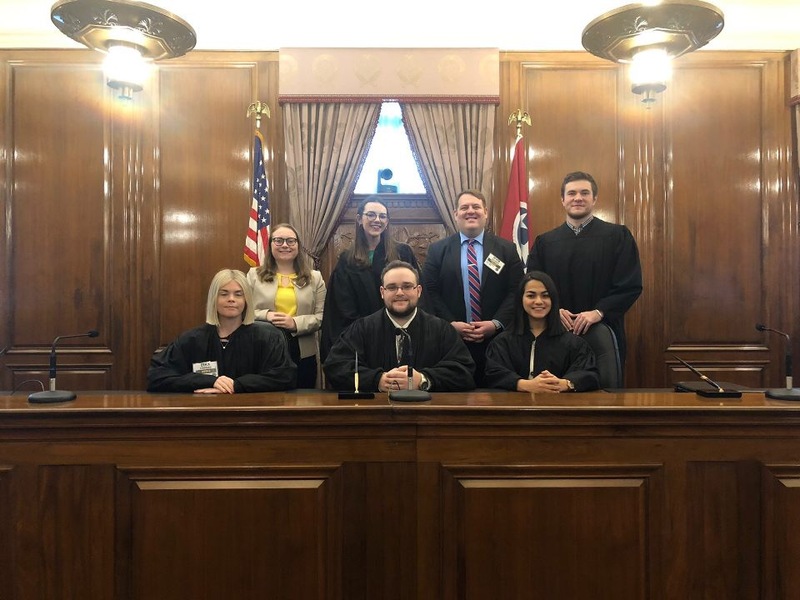 With a thirst for knowledge of the law and a yearning to attend law school after college, Yousef currently serves as the chief justice of the Tennessee Intercollegiate Supreme Court, the judicial branch of the Tennessee Intercollegiate State Legislature (TISL). TISL is a mock government for students attending universities in the state. Yousef, part of the judiciary, leads the justices in picking cases that will be argued by all Tennessee college delegations. Yousef currently serves on Trevecca’s diversity council, a group of undergraduates from diverse ethnic, economic and social backgrounds. The group meets once a month to discuss ways to further educate and build community across campus. Earlier this semester, Yousef participated in a spring break Trevecca Around the Globe (TAG) trip to San Diego and its bordering city, Tijuana, Mexico. She, along with fellow Trevecca and Eastern Nazarene College students, spoke with migrants and agents with U.S. Customs and Border Protection. Yousef’s desire to serve isn’t confined to Trevecca’s campus. She’s also active in her community and church, serving as youth director at St. Verena American Orthodox Church and tutoring female inmates for their High School Equivalency Test. She also mentors middle and high school Coptic girls. Friends and fellow students have taken notice.